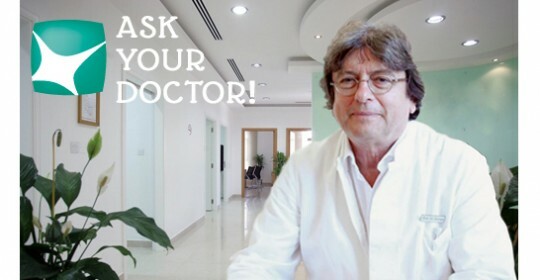 Dubai Neurologist Professor Dr. med Koempf answers a mother’s question regarding her severe headaches. ‘Ask Your Doctor’ is a GNC Facebook initiative that answers fans questions related to Neurology, Psychiatry, Psychology and Counselling for free. I am a mother of two living in Dubai since 4 years and I recently returned to my job as an Account Executive. Accordingly I am very busy trying to manage my kids and the new job altogether. I haven’t had any problems with headaches or migraine so far but since a few weeks I am suffering from bad headaches every morning I get up and it’s getting worse. The pain comes over night but I don’t feel like sleeping poorly or not enough. So I am really afraid whether it is a serious matter. Do you have any explanations for this and what can I do against it? There are 50 different types of headaches. The most common types can be classified as primary (tension headaches, migraine, cluster headaches) and symptomatic headaches. Tension headaches are the most common types of primary headaches and the symptomatic ones could be caused by an injury or underlying illness like hypertension or a brain tumor. I would therefore recommend a comprehensive examination to exclude symptomatic headaches. It is important that a patient with new, severe headaches seeks medical care and gives the neurologist an opportunity to assess their conditions. To exclude symptomatic headaches there are a range of tests available like blood tests, a CT scan (computerized tomography), MRI (magnetic resonance imaging) or a lumbar puncture. If your headaches are not responding to a medical treatment, if they are getting worse and disabling and interfering with your work and quality of life it is recommend to see a neurologist to make a precise diagnosis. In your case based on your history the headaches will likely be primary ones caused of your stressful stage of life trying to manage lots of things at once. Most people with primary headaches successfully treat themselves with over-the-counter pain medications like aspirin, ibuprofen, acetaminophen or naproxen to control the pain. Nevertheless, here it is also necessary to make a precise diagnosis as there is another common type of headache which is induced by exactly these medications. Therefore the neurologist will ask you questions about your headaches to evaluate the quality, quantity and duration of the pain. A physical examination, particularly the neurologic part, is important to exclude any abnormalities. Primary headaches are painful and it can make daily activities more difficult to accomplish. 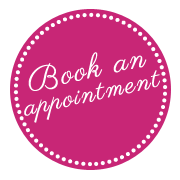 To enhance the quality of life there are a range of treatments available like relaxation technics, biofeedback, botulin toxin, acupuncture and stress management. These treatments can all be used as adjuncts to help with control of headaches. All in all, in each case it is advisable to see a neurologist for a comprehensive examination as its necessary to exclude underlying illness like hypertension or a brain tumor. I hope it helped you seeing that there is a range of possible treatments available to cure headaches or to relief the pain to enhance your quality of life.